The establishment is a luxury guesthouse- offering high-class accommodation- a perfect blend of luxury- tranquillity and attentive personal service. 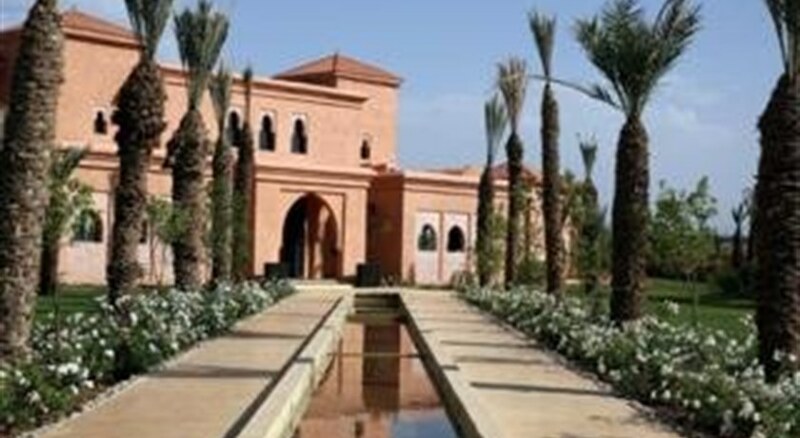 This charming hotel offers a choice of rooms at the feet of the Atlas Mountains- set around a swimming pool in the middle of a marvellous garden- which is heated in winter. The hotel is air-conditioned and welcomes guests in a lobby. 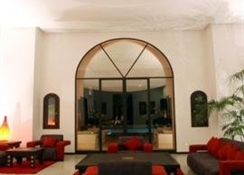 Other facilities include a hotel safe- a bar- a baby-sitting service- Internet access and a choice of cuisine. 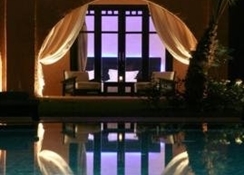 Guests can take advantage of the hotel's room and laundry services and the car park.The hotel offers spacious rooms- with private terraces- 2 beds which are 90 cm x 200 cm in size- individually regulated reversible air conditioning- and a bathroom in marble with a large bathtub and separate WC. 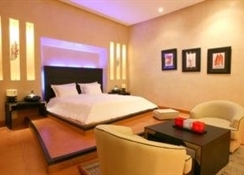 Rooms also offer a dressing room- CD and DVD player- MP3 player- satellite TV with an LCD screen and WLAN Internet access. In addition- there is a safety deposit box- minibar and tea and coffee making facilities. There are 3 luminous ambiances to choose from.